Q1. Is there a standard re-challenge protocol to use with all patients on a low FODMAP diet? We wish it was that simple, but unfortunately there is no standard protocol for re-challenging FODMAPs. It is so important to seek the assistance of an experienced dietitian to individualise the FODMAP challenge process to the needs and symptoms of each patient. The length of the re-challenge, foods chosen and the portion sizes used may also vary between each individual. Dietitians may find it useful to ask their patient which foods they miss the most from their regular diet and consider introducing those foods first when getting them started on re-challenging. The re-challenge phase is an important part of the low FODMAP diet, but research studies on this specific area are lacking. Unfortunately, a rechallenge research trial is very difficult to design and conduct. Q2. Should all FODMAP subtypes be challenged in every patient? It is important that all FODMAP subtypes that have been restricted are re-challenged. For some patients lactose may remain in the diet, even during the initial elimination phase, if lactose intolerance is not evident. We always recommend re-challenging fructose due to unreliability with the fructose breath testing. A key point to note is that often just because an individual didn’t tolerate one particular food within a subtype of FODMAPs doesn’t mean that this person won’t tolerate any other foods within that subtype. The portion sizes of these foods may need to be adjusted. Seeking the assistance of a dietitian to tailor the diet to an individual is essential. As each person’s FODMAP tolerance and their FODMAP threshold varies, a dietitian may need to be more cautious with one person who is extremely sensitive compared to another person who may have reasonable FODMAP tolerance. No two patients are alike and personalising the diet will assist patients with expanding the diet long term, which is very important. Starting with a subtype of FODMAPs that the patient may tolerate better can ease the patient into the rechallenge process. Q3. How long should each FODMAP challenge go for? The answer varies depending on the patient and their symptoms and their level of anxiety about doing the re-challenge. For those who need a cautious approach, slowing down the challenge to testing a food every second day over the course of a week may be appropriate. For others, a typical challenge of a new food is to introduce a small portion and increase the amount every day for 3-4 days. Q4. What sort of doses of foods should be used for FODMAP challenges? There are no set portion sizes that suits each person. How much should be used depends on the individual, their symptom severity and tolerance level. As a general rule, half of a normal serving of a particular FODMAP containing food would be consumed on day 1, then increase the serving size on the second and third day. Q5. What do you do with a patient who has severe reactions to all challenges? For highly sensitive patients it may be necessary to slow down the re-challenges to small serves of a particular food consumed every second day. Alternatively try using different foods to the previous challenges in small amounts. If the patient continues to react to even small amounts, alternative therapies may need to be considered or they should be referred back to their GP for further investigations. Small intestinal bacterial overgrowth (SIBO) may be a contributing factor in those with ongoing symptoms, however SIBO is very difficult to diagnose. A glucose breath test can be undertaken, but this is not a perfect science and will not diagnose SIBO in all cases. Assess the patient’s stress levels as stress is one factor that can further exacerbate symptoms with challenges increasing stress and anxiety.Continue to provide support and encouragement during the re-challenge phase. Q6. 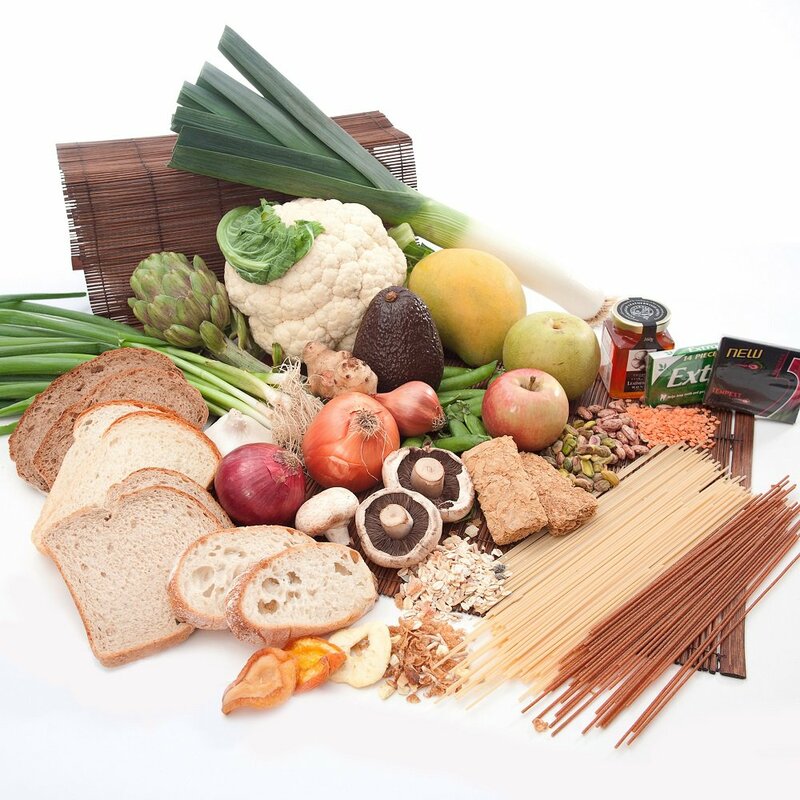 What are some helpful tips to increase fibre intake on low FODMAP diet? Q7. What are some of the key hidden FODMAPs that can be found in US commercial products? Hidden ingredients aren’t always so hidden so do encourage your patients to check the ingredient label for foods and supplements high in FODMAPs particularly looking at sweeteners and added fibres such as inulin, fructose, high fructose corn syrup, crystalline fructose, lactose, and apple/pear juice concentrate. Also check liquid medications, chewable vitamins, powdered protein supplements or shakes for sweeteners that are often high in polyols or fructose. Please remember to check the Monash University low FODMAP app for more information on US products that we have tested for FODMAP levels that includes sauces, gluten free breads and jams containing fructans and HFCS. Q8. Are fermented foods suitable on a low FODMAP diet? There is a huge interest in this area and yes there are some fermentable foods that are low in FODMAPs, however not all low FODMAP foods remain low in FODMAPs when fermented. Tempeh is low in FODMAPs and a good vegan option for a low FODMAP fermented option. We have also found spelt sourdough bread to be low in FODMAPs. Sauerkraut has recently been tested and found an interesting result. 1 Tablespoon of Sauerkraut is low in FODMAPs however becomes moderate to high in the Polyol (mannitol) in a larger serve despite common cabbage being low in FODMAPs. We also tested fermented red cabbage and found that when red cabbage was fermented it was low in FODMAPs when consuming only ½ a cup but contained moderate Oligosaccharides (Fructans) at 1 cup, whereas fresh is still low in FODMAPs at these portion sizes. Kefir is only high in lactose so another suitable option for those who are not lactose intolerant. We can’t always predict what is going to happen to low FODMAP foods once they have been processed in some way or another and therefore these foods need to be tested. We will share this knowledge via our Monash University low FODMAP app as the foods are tested.